Revolving, easy-load barrel with "no drip" feature, alloy handle, smooth piston rod and ladder hook. 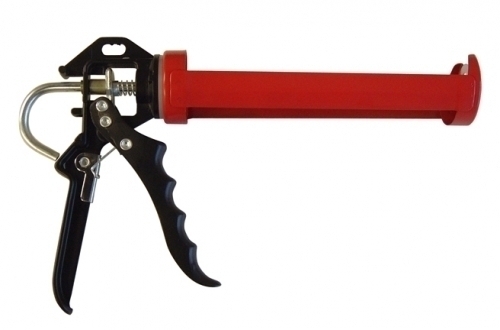 Also, includes seal puncture tool and built-in spout cutter. Heavy-duty construction but lightweight feel. 1/10 gallon barrel holds most standard cartridges. Use for medium to heavy applications.